I downloaded siamart_0516.zip from https://www.siam.org/journals/auth-info.php and tried to run latex ex_article. This gives some errors (see log below). However, pdflatex ex_article works just fine. What is causing the errors with latex, and how can I fix it? 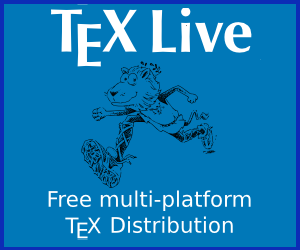 I'm using the standard texlive distribution on Linux Mint. Babel <3.9h> and hyphenation patterns for 4 languages loaded. Package hyperref Message: Driver (default): hdvips.
! LaTeX Error: \listoffigures undefined.
! LaTeX Error: \listoftables undefined.
! LaTeX Error: \tableofcontents undefined.
! LaTeX Error: Command \listoffigures already defined.
! LaTeX Error: Command \listoftables already defined.
! LaTeX Error: Command \tableofcontents already defined. Package epstopdf Warning: Drivers other than `pdftex.def' are not supported. LaTeX Warning: Reference `sec:proof' on page 1 undefined on input line 84. LaTeX Warning: Citation `GoVa13' on page 1 undefined on input line 86. LaTeX Warning: Reference `tab:foo' on page 1 undefined on input line 181. Output written on ex_article.dvi (4 pages, 80796 bytes). on the supplied example file, however the error shown in the question occurs in hypdvips package code and the [nohypdvips] option suppresses the loading of that package. How to use LaTeX template for SIAM papers?